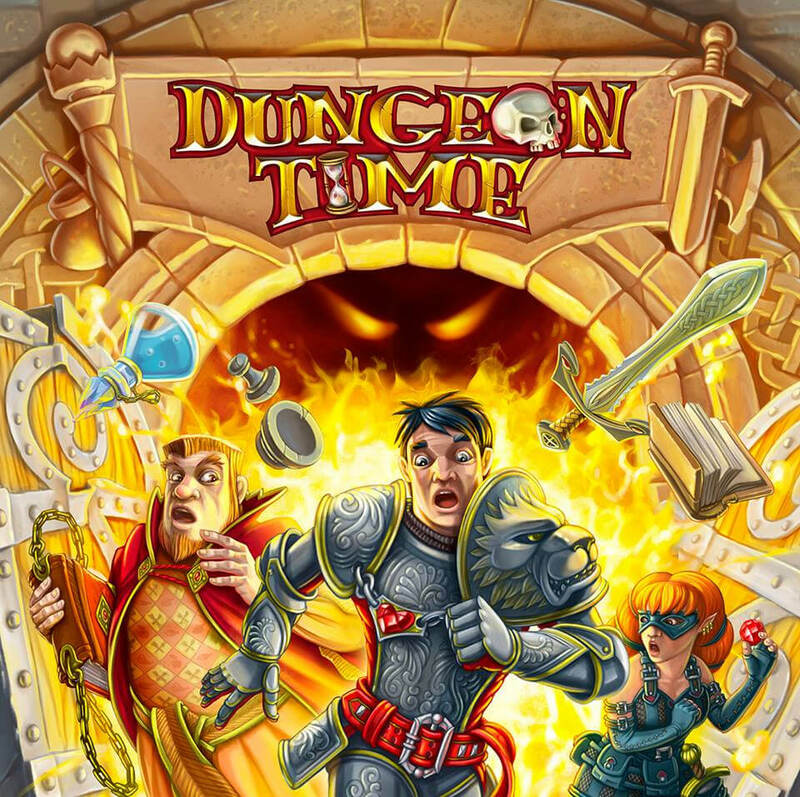 Dungeon Time is a new quick playing game, in which players have to cooperate in order to complete as many missions as they can before the time expires. Players enter a fantasy realm and they only have five minutes to find the equipment and achieve their missions inside the dungeon, while a sandtimer is there to remind them that they are running out of time! Players draw cards showing an item or a mission, and they either play the card to the quest stack or discard pile and then draw a new one. It is a real time game, so anyone can play cards at any time. You should play the required cards wisely and in the right way so as to complete the quests. However, you cannot put anything you do not need in your backpack, since there is a limit to it and if you overload it you might fail. Moreover, if you think you are getting better and better and you need more challenge, there are harder missions, which require more items in order to complete a mission and of course the risk gets higher. Dungeon Time has been launched on Kickstarter, where it was funded in only a few hours and the campaign is about to end in a few days.